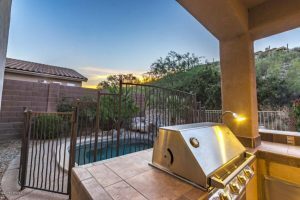 5 Sabino Mountain homes for sale. Could the lack of professional photography be one of the reasons some homes fail to sell? Is the photography attracting many potential buyers? And why have photos of plain rooms, garages, closets, etc that add nothing to the enticement of the viewer? It is better to chose the most appealing photos versus having photos of every room and so many photos to overwhelm the computer visitor. Click on the above red link and in the upper part of each listing is a link to photos, review the photos and you be the judge. While it is obvious a few of the listings have good photos, the others may not be up to your standards. Professional photography makes a huge difference! 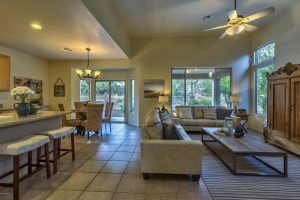 There are 6 homes for sale in Sabino Mountain. There is one new listing on Boulder Canyon Drive and some of the other homes have had price reductions. Sabino Mountain is priced very well in contrast to many other homes in the Catalina Foothills, especially for the two lowest priced homes in our neighborhood. If you have someone interested in purchasing a home, please have them email me at Donna@DonnaAnderson.com or call me at 520-615-2598. Click on the link below to view the homes for sale with photos. Last year between January 1st – September 8th we have 11 home sales in Sabino Mountain; this year we only have had 7 home sales within the same time period. Last year we had 7 homes sold that were priced from almost 300K – 390K and then one sale at 460K and one sale at 788K and two sales over a million–at $1,155,000 and $1,200,000. This year the home sales flow like this- 4 were priced from 318K – $363,500; two were priced at 845K and $846,600 and then only one home priced over a million at $1,070,000. 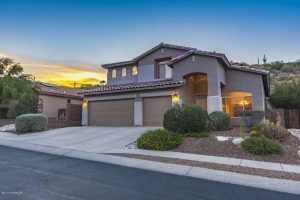 The luxury homes sales market in Sabino Mountain, with homes priced 750K or over, as I have witnessed all over the Catalina Foothills, has not recovered. Prices remain low and it usually takes at least 6 months on the market to sell luxury homes. Statistics reveal that homes priced below 750K have seen more sales in the Catalina Foothills versus last year, although the appreciation has been limited. To make sure your home sells as quick as possible at the highest price make sure you list your home with a knowledgeable agent. Professional photography is a must; it is sad to see homes that look much better when viewed in person than on the many real estate websites that folks typically explore before they are enticed to look at your home for potential purchase. If you are thinking of selling, I am a phone call away at 520-615-2598 or email me at Donna@DonnaAnderson.com. Here they are; click on the blue link to see them; they are priced from 318K – $1,070,000. There are 5 homes for sale in Sabino Mountain and they are priced from $349,900 – $928,000. 4242 N Sunset Cliff Drive sold for $378,000 by Coldwell Banker Residential Brokerage; it last sold three and a half years ago for 9K more! This almost 3K square foot home with 3 car garage, first floor master suite and spool was staged, had great professional photography and showed beautifully. I would have thought it would have sold for more but the Tucson market shows little if any appreciation and price ranges 300K and above. You are currently browsing the Sabino Mountain Blog blog archives for September, 2017.